The intertidal zone, the brief space where land meets sea, is endlessly fascinating, a harsh landscape where only certain plants and animals are able to survive. Numerous plants have made the adaptations necessary to flourish in this intense region, where the sun and waves appear to have little mercy for the plants that cling to the rocks. Bladderwrack (Fucus gardneri) is a perennial brown algae found in the mid- to low intertidal zone. Bladderwrack grows on rocks and mussels from the Bering Sea and Aleutian Islands down to southern California. The plant protects itself against predators by using chemicals that make it difficult to digest. Despite this, bladderwrack is a food source for Periwinkle snails, Pacific Falselimpet and even humans, who harvest the plant as a food source in Alaska. Sea Grapes (Botryocladia pseudodichotoma) is a species of algae that resembles a cluster of red grapes. Sea Grapes can be found bobbing across the surface of shoreline water down the Pacific coast, stretching from the Queen Charlotte Islands to Baja California and Mexico. 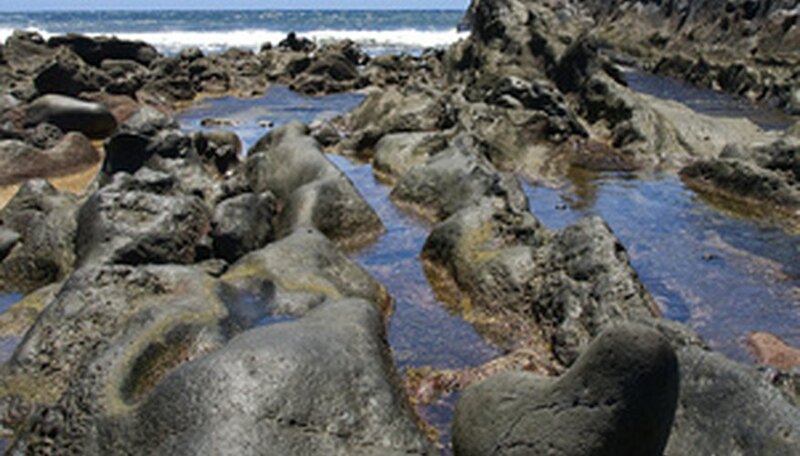 The algae can be found in abundance in some areas of exposed rocky shore. Sea Grapes is a food source for several different species of gastropods and other small herbivores. Turkish Towel (Chondracanthus exasperatus) is red seaweed that lives in the mid- to low intertidal zone throughout the Pacific Coast, from Vancouver Island down to Mexico. The purplish red plant has thick, wide blades that are coated with protruding "hairs," causing the plant to resemble a Turkish bath towel. The plant usually reaches a maximum height of 1 to 2 feet. Turkish Towel can be found on rocks on the shoreline.